My name is Sally and I have been hairdressing since 1985. Even after all this time I am still passionate about my job and am constantly striving to improve and update my skills. Over the years I have attended many different courses within the industry, including the Paul Mitchell cutting system master class in July 2013, Paul Mitchell Intelligent Style look and learn the lesson, the 5 Step Plus, which is a customer service based course later on in the year. 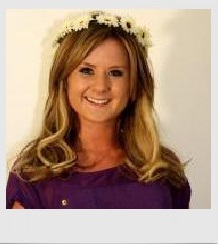 I am originally from South East London which is where I began my hairdressing career. After qualifying as a stylist I took a couple of years out to travel living in both Oslo and Toronto which was an amazing experience. On my return to London in 1993 I was excited to resume my hairdressing career and started work at Shobiz Hair and Beauty which was considered the Premier Salon in South East London. Whilst there I worked my way up from designer to salon consultant and it was here that my passion for teaching and education grew. In May 2006 I relocated to Eastbourne with my 3 children and joined Topknots in Sovereign Harbour. 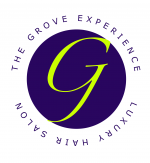 I worked here for 3 years then in January 2010 I was given the exciting opportunity to join The Grove Experience as an educator and Master Associate. 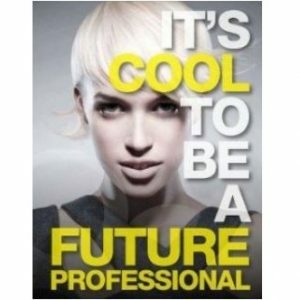 Since joining I have achieved my A1 qualification which allows me to assess our NVQ candidates within the salon. I have also completed a preparing to teach in the lifelong learning sector diploma at Sussex Downs College which has helped me to plan and deliver lessons of a higher quality to our NVQ students. My goal for the future is to expand the training and become a teaching academy, offering courses on all aspects of hairdressing at all levels. I feel privileged to work in a fantastic salon with such a fun, creative team and I thank Gary and Giovanna for giving me the opportunity to realise my dream. I am the head of education at the Experience Education Academy, where I oversee the general running of the academy the other educators and all dealings with are training partners and Cheynes education. I joined the Grove Experience team in January 2012 after completing my NVQ level two hairdressing Qualification at Lewes college. I wanted to gain more experience in a salon and complete my NVQ level three qualification. I graduated in March 2013 after completing my Grove Experience In-house training program and then completed my NVQ level 3 qualification in March 2014. Since working at the Grove Experience I have been on Seven Paul Mitchell workshops where I have learnt different techniques in Cutting, Colouring and styling. Cutting is the area of hairdressing that I enjoy the most. I also had the opportunity to be a model for Paul Mitchell at Salon International, which is a trade show for hairdressers in London. And was very excited to have Stephanie Kocielski Color my hair. She is a world Famous hairdresser at the top of the hairdressing industry. My hair was then cut by Gary Young Who owns the Grove Experience and works as a Paul Mitchell Platform artist at these events. In 2018 I completed my teaching qualification and now work in the Experience Education Academy, educating the academy students in all aspects of hairdressing, teaching has become a great passion of mine and I love to pass skills on to the next generation. I have recently moved into my own home in Eastbourne and now live a short walk from the salon.